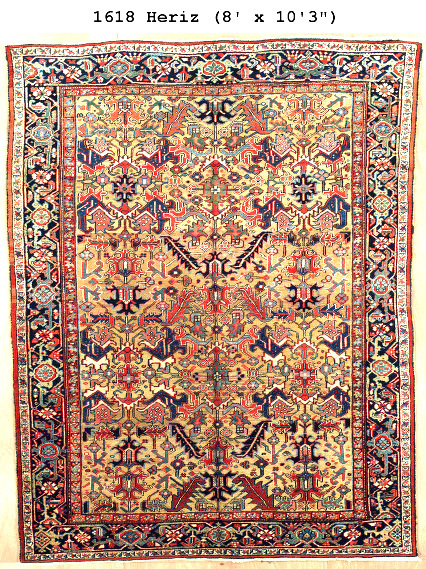 c1910 Size:8'0"x10'3" Natural dyes. Unusual and beautiful "all over" pattern. Wonderful main border.